We are manufacturer and exporter of wooden gifts and boxes from India to all parts of the world. We make these boxes in any size and shape as per buyer's requirement and specifications. We make plain Cigar boxes in different woods and color. Wooden box can be made in any size or shape in any variety of wood like Mango Wood, Ebony Wood, Rose Wood, Sheesham Wood, Kemp Wood, Surina Wood, Steam Beige, Mapple Wood Or any other variety. This box is made of ebony wood. We can make these boxes in different woods as per buyer's requirement and specifications. All boxes are made with international standards of finish and smoothness. We can customize any size and shape of the box as per your requirement. 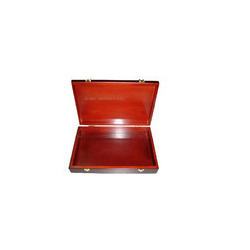 Our organization has successfully expanded its business in market owing to the offered elevated quality array of Wooden Cigar Box that is made of the finest quality raw material and has a mirror finish. A team of skilled professionals make use the latest technology for designing this box. Additionally, provided box is stringently tested by quality experts before offering this to our clients. We are offering customized products. With the valuable assistance of skilled team of our professionals, we are offering an extensive range of high quality Wooden Boxes in all possible shapes and designs as per our buyers specifications and requirements. We use the finest quality wood and modern techniques in line with set industry standards. Apart from this, our provided box is available in elegant design, smooth finish and captivating look. We can also supply customized products. 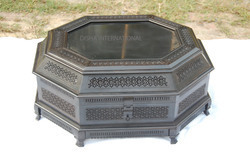 We make boxes in different woods like Ebony, Sheesham, Rose wood, Mango wood, Pine and many other varities. 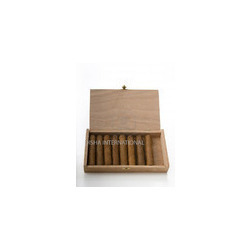 As per the variegated requirements of our clients, we are offering a wide collection of Wooden Cigar Box that is used for gifting purpose in different occasions. Our offered cigar box is available in various designs and specifications for catering diverse demands of our clients. Furthermore, adroit professionals design this cigar box by using quality proven wood that is in sync with industry standards. The provided cigar box is highly praised by our clients for its various attractive designs & shapes. We are offering customized products.